Co-presented with Jack Straw Productions and the Subtext Readings Series at Hugo House. Chris Mann is an Australian composer (currently based in NYC) working in Compositional Linguistics. Or, as he tells it: “Remember that day in second grade when they told you there was a difference between language and music? Well, I was out that day.” Mann’s work is a dense rush of words – philosophical musings, theoretical babble, Aussie vernacular – delivered at a superhuman velocity that transforms sentences into melodic lines, blurring the distinction between “reading” and “singing.” You can’t understand a word he says, but it sounds great. Much like opera. Only much, much faster. 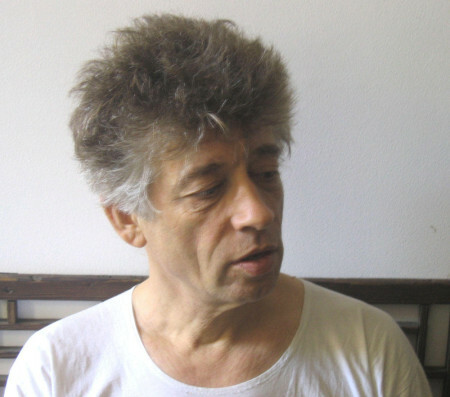 A founding member of the improvised music/word group Machine for Making Sense, Mann’s texts have been deconstructed, interpreted, and set by admiring artists such as Thomas Buckner, John Cage, David Dunn, Gary Hill, Annea Lockwood, Larry Polansky, Robert Rauschenberg, and Karlheinz Stockhausen. His recordings have been released by Lovely Music, Frog Peak, Nonsequitur, and others. Chris also performed an “unplugged” version of the same work on Wednesday, September 1 at 7:30 PM, as part of the Subtext reading series at Richard Hugo House; he will share that bill with Chinese poet/translator Zhang Er, from Olympia.